This elegant two tier cake is fully iced in white with a decorative pattern imprinted upon it. Red ribbons and red rose sugar sprays decorate the top! This elegant two tier cake is fully iced in white with a decorative pattern imprinted. 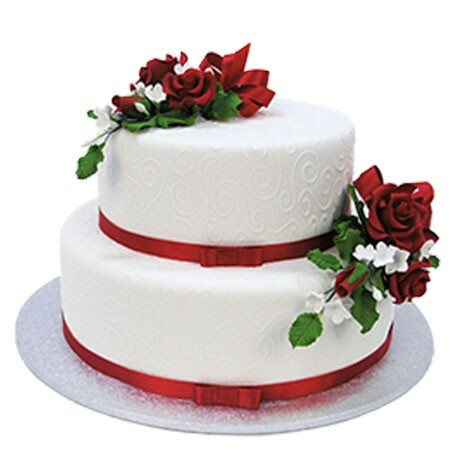 It is decorated with a beautiful red satin ribbon with flat bows and two lovely red rose sugar sprays on both tiers of the cake.